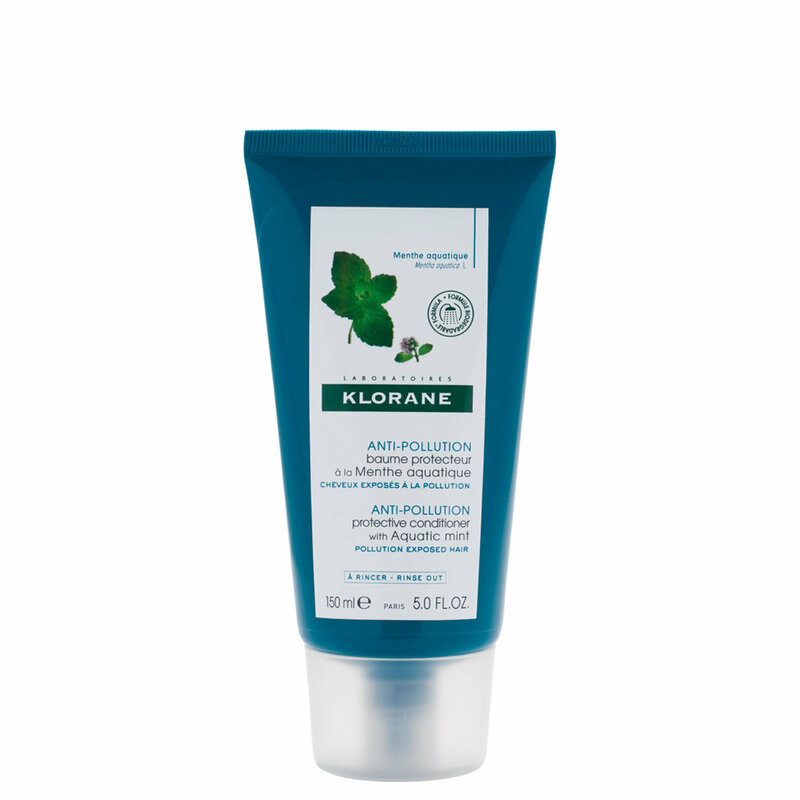 Protective conditioner with Aquatic mint invigorates and purifies the scalp, while creating a protective shield against follicle-clogging pollutants for healthier, shinier-looking hair. Everyday exposure to pollutants like polluted air, ozone, and cigarette smoke create oxidative stress. These pollutants cling to hair, making it dull, lifeless and dry while the surface of the scalp becomes clogged and uncomfortable. Specially formulated with a fresh, lightweight texture to be applied directly to the scalp using the needle nose applicator, this antioxidant-rich, plant-based conditioner draws out pollutants, without stripping away scalp’s natural balance. The scalp can finally "breathe" and feels refreshed and hydrated. Hair feels silky smooth, light, easy to style, and full of radiant shine. Those who find their hair dull, brittle, heavy and/or dirty, and experience an irritated or dry scalp due to pollution. Safe for natural, color-treated and highlighted hair. Apply in sections directly on the scalp and on hair lengths. Massage into scalp. Leave on for 2-3 minutes. Rinse. Aquatic Mint: Detoxifies, purifies and protects against pollution. Provides antioxidant protection.